One of the most effective ways to bring character to your home is to incorporate unique and meaningful pieces. 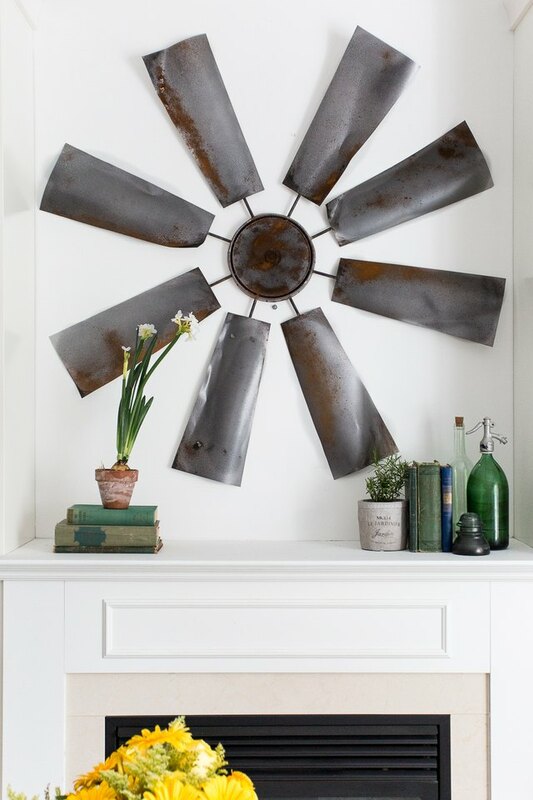 Vintage finds or historic items make beautiful statements, whether they're hung on a wall or simply displayed on a shelf. Unfortunately, these are not always easy to find and are often a little too pricey. That's when turning to a good ol' DIY is a great alternative. 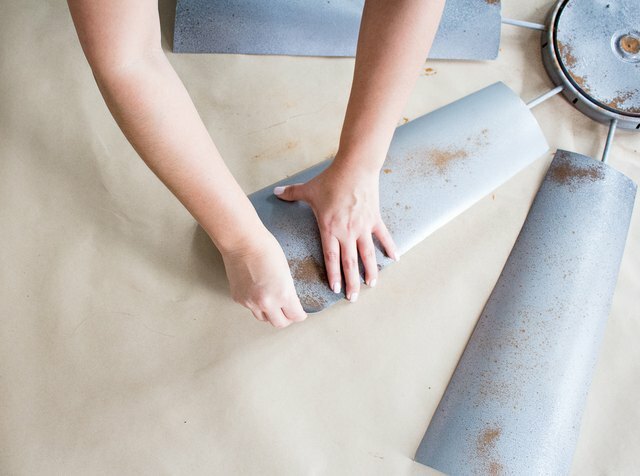 Not only can a DIY project be more affordable, but being a labor of love will have more meaning for you. 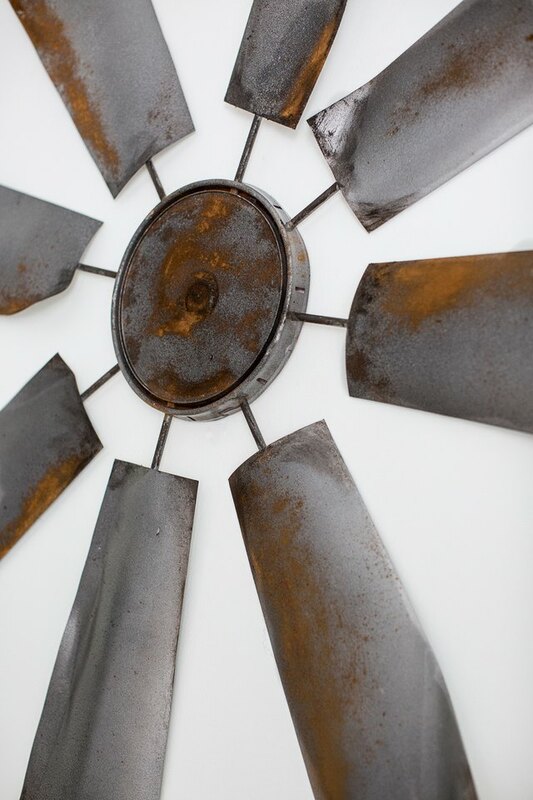 This windmill wall decor, will make a great impact in your space and become a focal point on any wall. 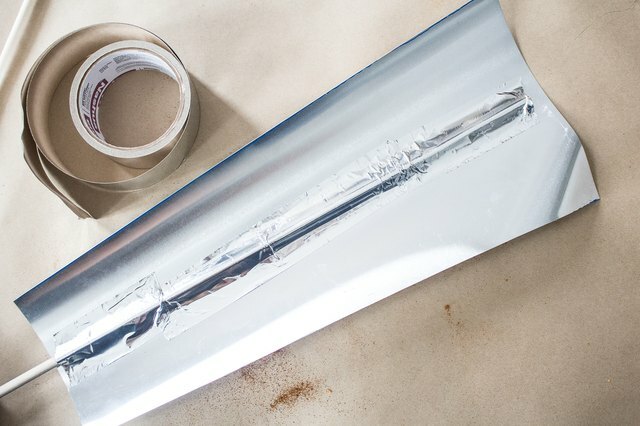 Unroll the aluminum sheet and weigh down with books or cans on each end to hold in place. 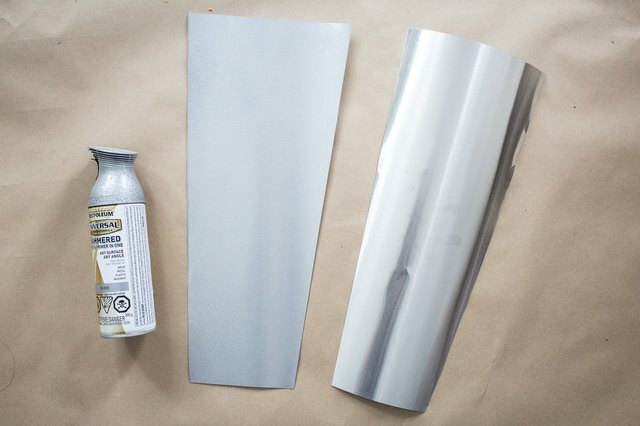 Place the "blade" template onto the aluminum sheet and trace around it using a permanent marker. 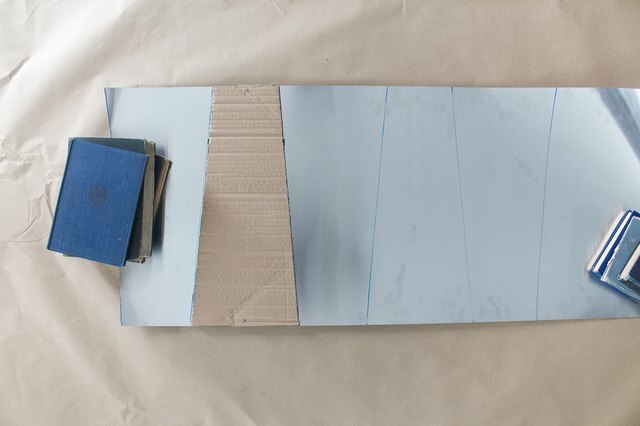 Repeat this process eight (8) times by alternating the top and bottom of the template, to ensure you get the most use of the aluminum sheet. 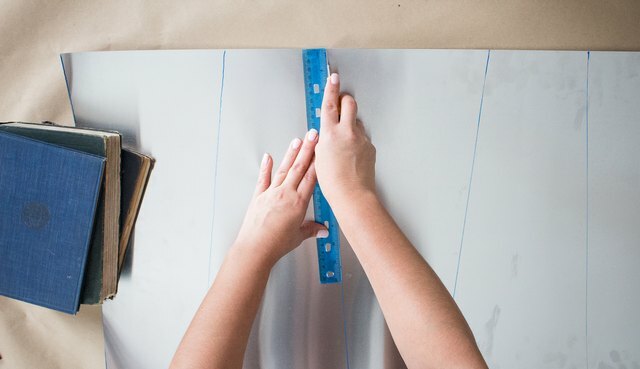 Place a ruler onto the drawn line and, with a utility knife, carefully score the metal a couple of times. Continue this process until you have scored all eight "blades". 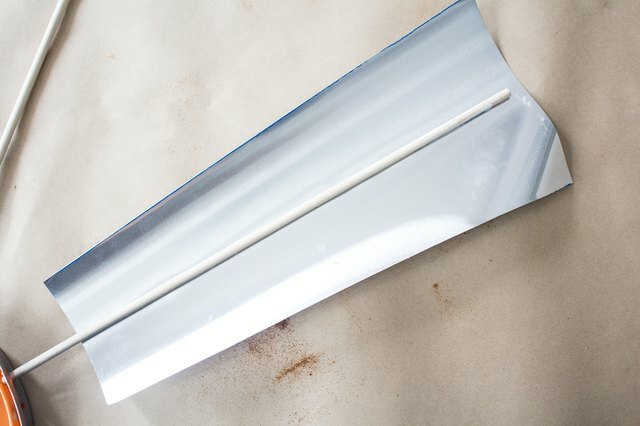 Gently bend the aluminum sheet back and forth at the scored line until the blade breaks away from the sheet. Continue this process for all of the blades. 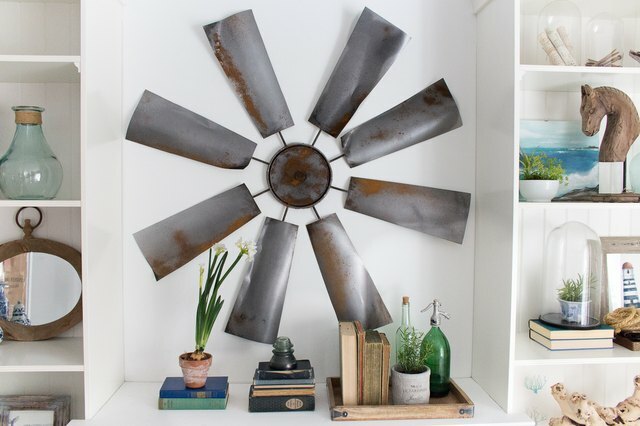 Place all eight blades in a well ventilated area and spray paint. This step is not entirely necessary, but as we are trying to achieve an aged look, the spray paint 'dulls' the shine from the aluminum making it appear aged. The below photo reflects a side-by-side comparison between a spray painted blade (left) and one not spray painted (right). 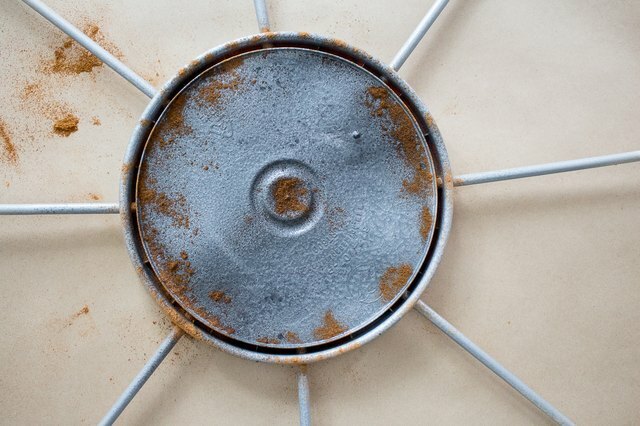 While the spray paint is still wet, generously sprinkle cinnamon in the areas you wish to simulate 'rust'. This is another optional step, but it enhances the look of an old found piece. 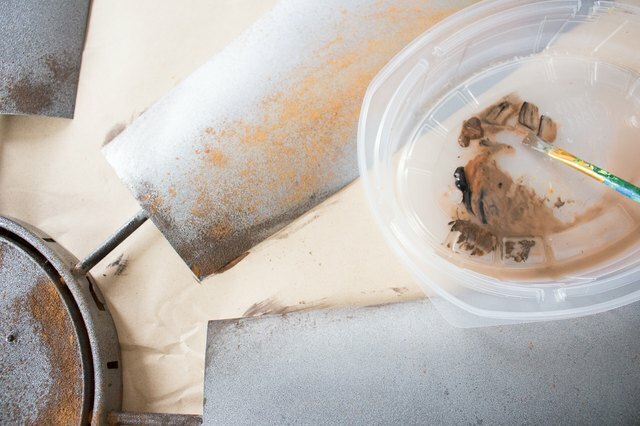 Once you are happy with the amount of 'rust', give the blade another quick light spray of paint. This will 'sandwich' the cinnamon between two layers of spray, ensuring it's stuck in place. 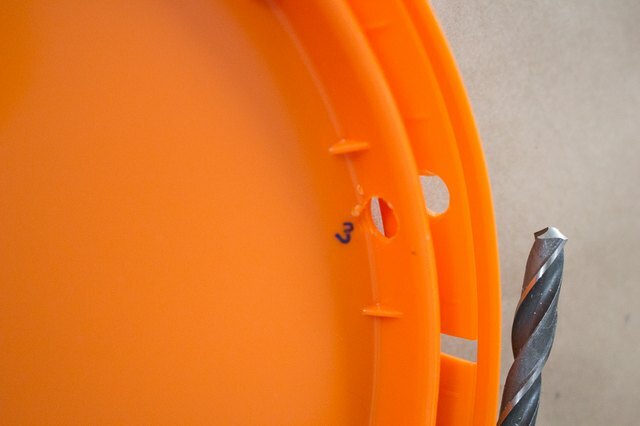 Set blades aside and allow to completely dry. Flip the 8L lid over and an the underside, measure and mark eight points. 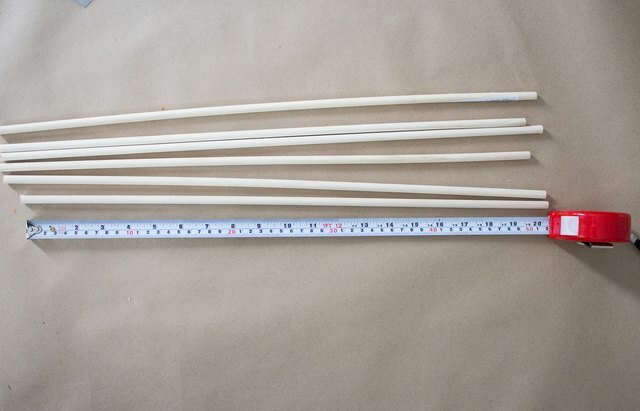 These indicate the placement of your dowels. Drill a hole in each marked spot. Cut the dowels to size (these measured 20 inches in length). Feed each dowel through each hole. 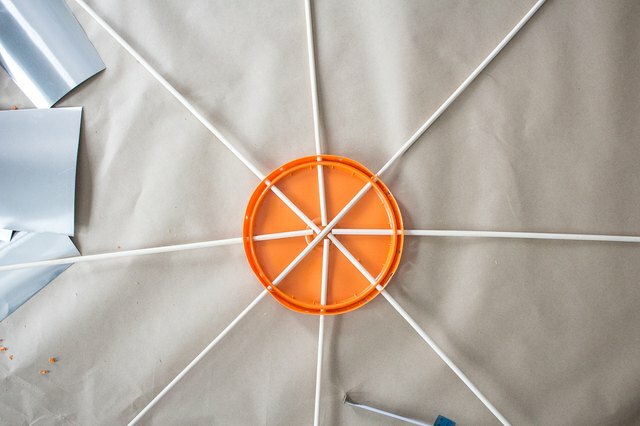 Secure dowels in place with foil or duct tape. 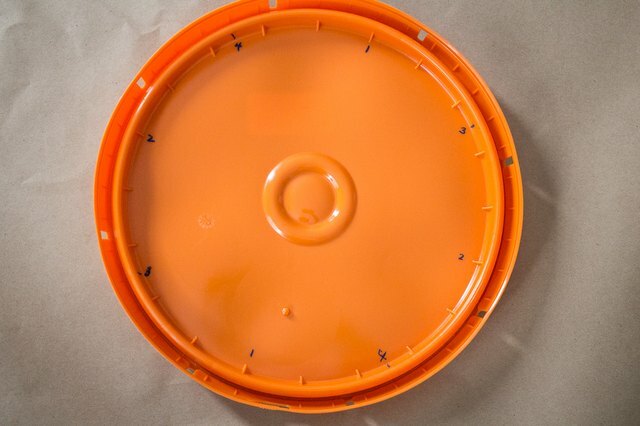 Place your assembled lid in a well ventilated area and repeat steps 3 and 4. Allow to completely dry. 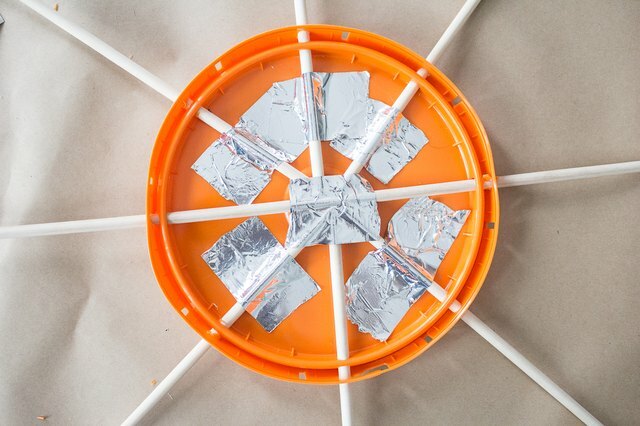 Using a generous amount of hot glue, glue the dowel to the underside of blade. Secure the dowel to the blade with foil or duct tape for added security. OPTIONAL: Gently bend the edges of the blade for a more aged effect. For added realism and dimension, use brown and black acrylic paint to paint the dowels and areas of the blade where you want to enhance the look of aged metal. 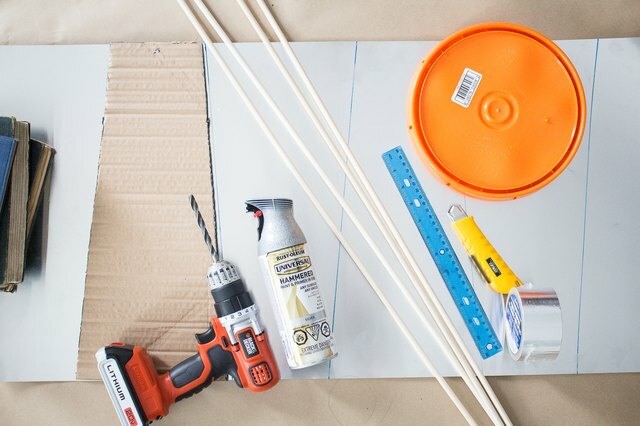 Hang your brand new creation and admire your Fixer Upper wall art.